Engineering thermoplastics are not necessarily those that are used for solving engineering problems. They are thermoplastic materials that offer better mechanical or thermal properties than commodity plastics. They have been specially blended and manufactured to enhance properties, making them more suitable for applications that demand high-performance resins. They are often used as a replacement for traditional engineering materials like wood or metal because of their superior characteristics. They are designed with temperature, wear, and corrosive resistance to hold up against heavy-duty, high-performance applications. They are used for many applications and industries including: electrical, mist elimination, jacketing, chemical tubing and more. 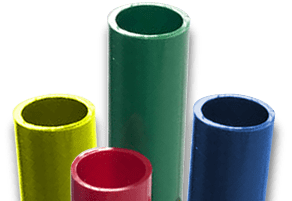 Custom engineered thermoplastic profiles differ from commodity thermoplastics in that they are used for specialty applications, not mass-produced goods. They are made from a blend of materials to bring out the best properties. While commodity plastics are used for products like clothing, food containers, and utensils, engineering plastics are used for heavy-duty applications because they are made from more specialized materials. They are used for products like car bumpers, motorcycle helmets, skis, and more. Geloy® (ASA): Acrylic-styrene-acrylonitriles is a thermoplastic elastomer that offers excellent resistance to UV irradiation, heat, moisture, and stress cracking and probably has the best weathering resistance of all acrylonitrile elastomers. Noryl® (PPO): Polyphenylene oxide is a high-temperature thermoplastic. It is rarely used in its pure form due to difficulties in processing. Polycarbonate (PC): Polycarbonate are a group of thermoplastic polymers containing carbonate groups in their chemical structures. They are used in engineering are strong, tough materials, and some grades are optically transparent. Polysulfone (PSU): Polysulfones are a family of thermoplastic polymers that are known for their toughness and stability at high temperatures. 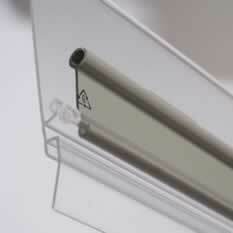 It is used in specialty applications and often are a superior replacement for polycarbonates. Polyurethane (PUR): Polyurethane is a polymer composed of organic units joined by carbamate links. It is widely used in applications such as high-resilience foam seating, durable elastomeric wheels and tires, rigid foam insulation panels, and more. 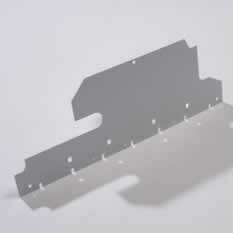 PC/ABS Alloy: This material processes with the ease of ABS but have the toughness of polycarbonate. It offers great processability and dimensional stability. Ultem® (PEI): Polymer imide is found in the medical, healthcare, and automotive industries, among others, because of its flame and chemical resistance. It also works well as a metal replacement. Our extensive experience and economies of scale with these materials will ensure high quality and competitive cost for all of the orders we receive for custom extrusions. Contact our team of engineers, or request a quote today!